We read often about the promise a more robust economic middle class brings to the Philippines. As the economy expands and more professional and managerial jobs come on-stream, we are seeing the emergence of a different style of worker, more traditional in the western sense, relying upon skills and productivity to command a decent salary. Not relying so much on brothers and cousins and classmates to define opportunities. The promise is that the economic weight and size of this group will build better bridges between the small class of rich power-people and the great laboring masses who have little money. And demand more responsible and productive behavior from government. On a different track, I also reflect on how leftists seem to have a louder voice than they deserve. Akbayan’s representatives are right in front of reporter microphones every time there is a way to criticize what the standing government is doing. The Akbayan press strategy is superb, giving the party a much louder voice, and much more authority, than it deserves. So the question arises, is there a way to make today’s meager middle class SEEM much larger by making it loud and up front. The popular press could do it but is so drawn to conflict that it would rather feature Akbayan taking the President to task than dig around for things going right or spend any money do compile a deep perspective on issues. Two television channels define the Philippines for millions. It is a playful, shallow morass of little civic enrichment. What does the middle class wish to say, I wonder. What message can we amplify? We’ve touched on a lot of these needs in prior articles. As I read what people say here and on other internet forums, it is clear that there is no lack of ideas. Filipinos understand the shortcomings of their political and social setting and they can outline helpful solutions. They can talk a good story. However, there is a clear lack of DOING anything about issues. For sure, resistance to development is huge and solid. The Catholic Church. Self-serving legislators. The public in many respects, going with the flow and having no compunction to make waves. And the collection of citizen’s voices is weak. No Civil Liberties Union or Consumers Union or class action litigation. Advocates tend to be narrowly focused on one issue, such as RH, or mining, and don’t act under an umbrella organization that is huge and powerful. Political parties are also not built on principles, but on personalities, so they are fluid and malleable to this political need or that. It often seems like they AVOID hard issues rather than look for them. I mean, what a no-brainer the FOI Bill is, or getting rid of the criminalization and presumption of malice attached to libel. Yet these laws languish for years. So where are the voices? Poor Harry Roque. He seems to be in the lead on any noteworthy legal contest whilst everyone else walks with their heads down. They probably have their livelihood tied to people in high places. The citizens’ arena seems to be filled with trivial texts or inane one-liners to address issues of substance. I wonder if our young, rising middle class has a tweet attention span. Can they discuss and dissect? I don’t know. A few can, for sure. But I get the sense that the greater numbers of young professionals are skipping along the surface of a flash and dash entertainment culture. How do we engage more people? I’m not sure. I muse about electronic pyramids that use facebook and twitter to network social and political issues. Middle Class Central (MCC) texts 10 people. They text or tweet 10 and put a message on their facebook pages. The pyramid expands at the speed of electricity. What has to happen to inspire all those call center workers and other rational people in the “normal” middle class to engage politically, to preserve and promote good values and lay an economic bed for their own working lifetimes, rich with opportunity? Where skill and productivity matter. Where fair dealing thrives. It needs an organization. And a leader. And an amplifier. 1.2. Assuming Class C is the Middle Class, the Lower Classes make up 90% of the population. The Church Fathers are co-fathers. 1.3. The Middle Class size of 9% is far below those of America at 46% (2004) and China at 62% (2005). 2. The Big Assumption here is that if the proportion of the Middle Class increases to above 50%, most of the ills of the country will be solved. Why so? 3.1. Money. The Middle Class provides economic stability. It pays a hefty percentage of tax income and it also keeps the economy chugging by conspicuous consumption. The American Middle Class purportedly pays more income tax than corporations and the top 1%. 3.2. Values. The Middle Class provides social stability. Its values of parental warmth, educational attainment, professional occupation, home ownership, and social interaction form a firm national foundation. 3.3. Intelligence. In addition to economic and social stability, the Middle Class equally provides political stability. With the growth of a watchful and intelligent Middle Class, the hope is that the politics of corruption, of vote-buying, of patronage will disappear. 3.3.1. Does the Middle Class need to maintain the rage with political activism or is the rage on social media enough? Collective political activism does work if focused. 4. Is the Big Assumption true? 4.1. Looking at America and China with their huge middle classes, the assumption can be said to be false. 4.2. The tales of corruption in the top party leaders in China rival those of any other country. In the Corruptions Perception Index, China (80) is just a few rungs above the Philippines (94). 4.3. Comparatively, America (19) does not suffer from widespread governmental corruption, but non-productive political strife, in particular in congress, is as insufferable as that in the Philippines. 4.4. By another measure, the color-coded Happy Planet Index, the Philippines has an HPI rating of 52.4 (Yellow is happy), China 44.7 (Amber is sober), and America 37.3 (Red is sad). 5. On the other hand, the Assumption can be said to be true when one accepts the truism that richer countries tend to be happier countries. 5.1. By one measure, the Legatum Prosperity Index, America is ranked 11, China 51, and the Philippines 66. 6.1. Corruption is still the top second killer. 6.3. At the individual level, richer does not necessarily mean happier, but poorer certainly means sorrier at the individual and national levels. 6.4. Consumption is the middle name of the Middle Class, and it does prove the Hiro adage in the short term. But raising the quality of life does not automatically give meaning to life. Sometimes less is more. I read the study about SEC or socio-economic classes(ABCDE classes). Some marketing company devised them so they could categorize target populations by income. I do not think it is that accurate. 3.2, middle class values, is the hope, and 3.31, a question as to activist passion, is the answer as to whether that hope will be realized sooner, or later . . . or never. I enjoy your reflections a lot. I think that here, money is the means to social stability and so it is important, and fundamentally we need a lot more of it in the Philippines. Evil or not. Foreign or domestic. This paper authored by former Secretary General of the National Statistical Coordinating Board, Romulo Virola, pegs it at 56%, lower middle class. The report is funny. It is inconsistent with the 2009 SWS statistics, which can be expected because of different definitions. In assuming that the two are comparable, my preliminary conclusion was that things are improving. However, one part of the report,quoting two other papers (FIES and LFS), says that the middle class is shrinking, but the report itself claims it is expanding! Which goes to show that statisticians are like politicians. They explain the inconsistencies in the section Results and Discussions as owing to the change in methodologies used. I don’t remember my technical report writing format anymore myself but I do think this one could have been better written. But then again, there’s a reason why these people chose to be statisticians, just as I had my reasons for dropping Calculus in my junior year in college. Ahahahaha, what a brick you throw at statisticians, of which I was an applied one when I did market research as a young bank marketeer. But then, I dropped Latin my senior year in high school, so you know what that says about the Catholic Church. 1. I finished Differential Calculus – where I managed to earn a respectable grade of 2.0 with no idea how – but threw up my hands at Integral. 2. Methodologies of measurement do change and should improve accuracy of results, but without reading that section I fail to see how contradictory results can be arrived at. Differences in Intensity yes, but not differences in Direction. 2.1. Unless the new methodology considers ownership of a personnel carrier as a Middle Class qualifier, and the older methodologies only considered a carabao to be one. 1. That 25.2% is welcome, but it’s still less than one-half of China’s 62%. 2. What is more welcome is the fall of the low-income class from 90% to 75%. I guess class ABC are the highest earning brackets, class D the middle earning bracket, and class E the lowest earners. So the middle class is 60% unless you set an arbitrary income level that defines what is middle class instead of the data that says the majority of the people belong to class D which is located between ABC and E.
Manuel, thanks. Another possible interpretation. The 60% figure is high and does not agree with the data of 25% Cha provided. But assuming its correct, then the majority of Filipinos already belong to the Middle Class – and the Big Assumption is already a reality. Well, we must do some new math and determine the unions of the burgeoning middle class with the flash and dash crowd of no political engagement whatsoever. Maybe this Philippines is their Philippines after all, and all hope is dashed. We need to consult with that young whippersnapper brianitus if he stops by. He’s politically engaged when he’s not busy cooking up some new noodle concoction for lunch. According to MarianoRenatoPacifico statistics less than 0.5% of 7% graduated from Ateneo, la Salle and University of the Philippines. These three schools are considered ivy-school-eqquivalent to Harvard and Columbia and they still screw up the Philippines. If these 0.5% of 7% have scrambled brains JUST IMAGINE how the rest of those poor Filipinos who have not even set foot in these ivy-schools their brains are made from. Now fast forward today … corruption is now centralized and monopolized by the Senate. I enjoyed the analysis and the sharp conclusion. “Philippines is totally screwed.” We can relabel the Senate “Corruption Central”. I think the middle class are starting to come out as vocal members of the Philippines’ society. It is easier to reach them through the Internet and social medias. They are the ones who can afford computers, cell phones, tablets and smart phones. They are connected but I do not see a lot of visible unity. Raissa have her CPMers, you have your Society of Honor people and the various blogs and media sites have their loyal following. All I can think is that most of them hold full-time jobs and are just part-time digital warriors. I had been searching for info about the Filipino middle class but I have yet to stumble into something definitive or conclusive. Senator Angara was quoted on PDI saying that the Filipino middle class family has a college graduate as the head of the household, an income of P280,000+ annually and owns their home. Some throws in air conditioning, household help and cars there too. NSB researchers state someone who has an income between US$2-20 is a middle class. There also the category about housing, housing materials, even the bathroom style and construction. So if anyone here has the information, please share. There are also contradictory reports on how the filipino middle class are doing. Some says it’s growing and some says it’s shrinking. The good news is the President’s trip to Malaysia turned out to be a success. There are reports of Malaysian investors looking into investing more in the Philippines. Ah, that last report is good news, yes. My guess is that the middle class, such as it is, is pretty much politically disengaged. Maybe a few are engaged. The megaphone is missing here. The social media are a disorganized collective and can sometimes rage, but not enough to get things done. Like, the rage on FOI hasn’t made Mr. Aquino blink. It did get Sotto to shrink to the background on plagiarism, but not to rethink his principles. That the House feels no urgency on FOI is shameful. 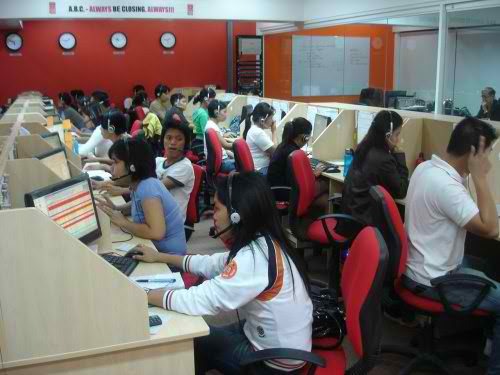 These twits have no desire to modernize the Philippines or improve its information foundation. Ignorance serves them well. As bank secrecy laws assure, we remain ignorant on how much money they have siphoned off. Gotta go take a chill pill now . . .
“Panem et circenses,” (bread and circus) the political strategy of the Roman empire, seems to still work in the Philippines. Give them something labeled with your name for epal points and create a fiesta-like atmosphere to appease the masses. The Romans had chariot races and gladiators fights. The Filipinos have boxing, basketball, mindless TV shows, sensationalist media, televised privilege speeches and Legislative gladiators. With enough hand-outs and distractions, the masses forgets about revolution/progress and the status quo remains intact. P.S. Joe, is there a way to correct our comment after the fact? Lots of us here are trigger happy. Thank you. Ha, yes. except here, all roads don’t lead to Manila, they just go in circles around the island. I dont think 280k would cut as middle class with the prices of goods/cost of living. I’d say roughly 650k (50k a month) is the bare minimum. I think it depends on whether you are in Manila or the provinces. In the provinces, you could be middle at P30,000 a month. In the U.S. many families must have both husband and wife working to remain or gain middle class standing. Here, the same thing. A family with an office worker (P15,000 and a laborer P6,000) has a decent life in the provinces. Someone with P30,000 is swimming in luxury with big cell phone load. Maybe not cable TV yet, but they can go to the mall to look around. It all depends on the number of kids, of course . . .
Not only muscle and voice, under the skin of society much more is going on. The middle class is active in many other control rooms, not only in the political one. They are larger consumers, more vocal parents in schools, church “elders”, more active on social media… They have a larger horizon than just “food tonight”. “Food”: They use spare energy for other “nation building” activities as linking with others, sports, restaurants, travel, reading (Facebook, YouTube…). On one hand being more stable allows them to take more risks, on the other hand they have something to loose so they have to be more careful. “Tonight”: their horizon is larger, mortgage for the coming 20 years, health insurance and pension, next trip to somewhere, college for the kids… future of the country. Only the ruling class could raise kids able to staff the control rooms of the next generation, now the middle class has some access too. The top was so (is) so small that everybody knew everybody, this changes with a large middle class, skills becoming more important than just relations. The Americans did focus on growing a middle class, in the 50’s it seems that this middle class reached a “society defining” seize. Martial law was very effective in suppressing first the vocal part of this middle class then destroying the economy and so the whole middle class. They never got traction again, EDSA a convulsion sparked by a complotting expert in a succession fight for an ailing dictator. I do believe the Philippines needs a middle class Rizal, or someone who can organize a social movement that demands information and social modernization. I appreciate your optimistic view, and it is my hope that modernization will proceed. I have hopes for the youngish senators. The quicker we can get the crustaceans out of the picture the sooner the Philippines will mature..
Slightly off topic: Jose Rizal’s family was relatively well-off until Spanish friars took away their land. So a great part of Rizal’s anger towards the Spanish friars come from personal experience. Rizal was in Europe studying when the land grab happened. There were also a lot of local intrigue and politics in Rizal’s town and as it is in local politics then, now, and forever, Rizal’s family was on the wrong side of the dominant group when a certain religious order decided to extend their landholdings. My great grandfather was very close to Rizal’s older brother, their friendship started in school. He lawyered for the Rizals. I recall reading a letter from my great grandfather to Rizal giving him the bad news that the family could not send him any more money because the friars had thrown them off their property and that all he was able to negotiate was a compromise that they be allowed to keep one last harvest before they leave their land. Some of the Rizals (I think his sisters) are buried in our family plot in what was then known as the Catholic cemetery (I think it’s now called North Cemetery or La Loma). I don’t know if they are still buried there or if they have been moved as I have not been to the family plot for many years. I think we appreciate more the depth of Rizal’s revolutionary fervor and ideas when we know his personal circumstances. It’s interesting to note also that Rizal was more influenced by liberal democratic solutions to the Philippine problem rather than the communist way specially when you take into consideration that Philippine society at the time looked more like Russia except that instead of a Tsar we had religious orders as autocrat. To a large extent I think Rizal saved us from turning communist, maybe that’s why certain Philippine historians want him toppled from his pedestal and replaced by their chosen hero. Dr. Rizal seems to me to be talked up as the “people’s” hero, broadly, and it fits that his background was actually “landed”. It explains his education and intellectual prowess. I suppose in the context of this article, we need a middle class martyr. I don’t see any volunteers right now. Maybe Binay will find us one twixt now and 2016. Your great grandfather favored the confederates or he was a pacifist? He might have been a pacifist, as he was very religious (Lutheran). More likely, he just wanted to farm and raise his family and help build a church. After he got out of jail, he served with distinction in the cavalry, had two horses shot out from under him (they were his own horses, so the U.S. government had to reimburse him for them), and he lost his eyesight in one eye in the fighting. He went on to have six sons and one daughter. And he built the church. His picture is my gravatar image. He was a well-principled, determined achiever. I’m rather fond of the old coot. Ah, you confirm my suspicion that the young are surfing the flash and dash of entertainment-Philippines. They are happy with their improved lot, perhaps. Satisfied. Sated. No need to rock boats. The happy class. Akbayan is loosely allied with the present administration. It is leftist pink. Bayan Muna or Bayan and the Makabayan Coaltion is the group opposed to all administrations. It is leftist red. The press plays up Akbayan only when it disagrees with the administration over certain issues. It is the Bayan and the various groups under the Makabayan coalition that the press plays up all the time because it is the go-to counterpoint to whatever program, policy, or position that any administration holds. Most of the middle class assumes a twitter retweet and a facebook like is equal to pushing for change. Armchair activism proliferates–just look at the number of facebook and twitter accounts that change their profile pictures to a chosen image to ‘promote awareness.’ Or the petitions circulating online pushing so-and-so changes. Or Monday morning quarterbacks scoffing at the latest boo-boo of a president with their best interests at heart while sneering that if it were them things wouldn’t have happened that way. This is not limited to us Filipinos, mind you, but it doesn’t change the fact that this is giving the middle class Filipinos the illusion of having a ‘voice.’ Push for petitions, sure, retweet and like if it makes you happy, scoff and sneer because hey, you have the freedom, but these things should never substitute for face-in-the-mud, sweat-stain-in-the-armpits action. May 2013 elections, social media was overwhelmingly against Nancy Binay, heiress of traditional politics. But who did the majority of Filipinos vote for? Who barged into the Senate and joined the least-qualified senators already within the chamber? The one working on the ground, that’s who. Words are useless when not backed by action–and we’ve spoken long enough. Thanks for the link. Smart lady, Senator Poe. Also good to see that the three amigos are also having taxes looked at. Estrada is one irritating piece of work though. Weasel. And in the forthcoming May 2016 election, history will repeat the May 2013 election, and a Binay will be elected to high office. And, surprise, the country will be a better place because Binay is, if nothing else, a wily and effective trapo, who understands the needs and desires of the common folk. That’s what Binay’s camp did to win in the last elections. I personally saw the household items that were given to the folks there in Tinglayan, Kalinga province. But what caught my attention was one item that should not have been included in the kit – a brand new spade donated by the Denmark Red Cross. I wrote about it to Philstar columnist Wiliiam Esposo and asked him to publish my letter so that the Comelec could take action on that election violation. Nothing came out until I learned later on that he was against then candidate Mar Roxas. 2. The family must have warehouses full of goodies and giveaways “donated” from god-knows-where. 2.2. The blue cloth drawstring bag alone would lend itself to many uses. 2.3. This bag and the plastic ones are clearly labelled with the logo of the vice-president’s office and the title and full name of the patron. The middle initial of “C” can stand for so many dastardly deeds. 3. These bags are just a tip of the iceberg indicative of the funding, organization and ambition behind the drive to win the top post. A poor voter receiving any of these bags would surely feel obligated to vote for da man. God knows I would! The head of household of middle-class are abroad OFWing for children to go to Ateneo and la Salle that are hobnobbing with children of corrupt politicians and oligarchs that cornered PDAF and Industries NOT TO MENTION DAP that stinks from Renato Corona days all the way to the doorsteps of Malacanang. Thankfully Ruby was there in Malacanang spraying Lysol to disinfect DAP. Now that Ruby has gone Stateside Witness DAP is knocking at Malacanang’s door again. Currently Philippine Justice is faith-based rooted in Biblical Fairy Tales. Just because God said “It is easier for a poor man to pass thru the eye of the needle than a rich man”, Filipinos are afraid to get rich. They wanted to remain poor forever so they can pass thru the eye of the needle. Filipinos are sinners that God gave Philippines Cardinal Sin to dispense of sinners. Have you considered preaching as a profession? That is what I am planning to do. Not preaching but teaching elementary mathematics. Because Math is about absolutes and logic. Religion, one of the last vestiges of colonialism is not absolute, it is like chameleon that defines and redefines along with the times. I wish you well in your preaching. It’s interesting, although I agree that religion is not absolute, it is rather strange that it is the intransigence of the Catholic Faith that causes so much division here. And unbending dedication to doctrine that won’t change . . . until it is to the benefit of the CHURCH to change it. I haven’t read the rest of the replies – as per my usual custom so I am directly replying to the article. Since we’re thinking up of ways to legislate change, we might as well steer education towards more critical thinking. A lot of progressive sites, and I believe you yourself have pointed it out, Joe, that rote learning is rife in the Philippines. It’s not necessarily bad, mental retention is necessary in most trades. But teaching to pass a test does nothing for improving the simple mental calisthenics required of looking at issues with a critical eye. It’s also really great for self reflection! …something that only a few blogs like this tend to do for Philippine-hood and Philippine-dom. Because as loud and abrasive some of those people are in those other ones – you know the ones – they at least go against the grain. They challenge the Pinoy trends and other common beliefs Pinoys tend to subscribe to. Back to focusing on critical thinking and education: I think the “can afford” (itself a uniquely Pinoy term, as I understand) of the Philippines, already have the means to be loud. They’re literate enough to compose arguments, could afford the means to do so via the internet, and can even physically document things if need be (pics and vids), but a lot fall short on some arguments they formulate. Let’s go back a few months to the Binays’ debacle with Dasma security, and a great vast MAJORITY of their crap were ad hominem, even outright racist, and in the grand scheme of things, would probably set back whatever position they are wanting to advance. Whenever I read them, I feel like saying, “congratulations! You just made a martyr out of the person you’re traying to take down.”. “traying”? I meant “TRYING” !! Don’t forget to read Joe’s next article about President Aquino. The last time he had an Aquino article, there were a lot of people who do not want to hear the message so they attacked the messenger. Yes, important point, that going against the grain is valuable. Self reflection is important. But I would add that accuracy in the reflection is also important, and critics who pursue an agenda of complaint are themselves just as damaging as incompetents. I also agree that some of the “do gooders” also use unfortunate technique, as with ad hominem complaint, and it ends up having the opposite result to that intended. Observation and reflection based on facts is what separates opinionated rants from responsible and intelligent commentary. Tripping trickily of the tongue this eve, eh? Unfortunately, the middle class don’t have enough voice as their ” very voice” is being drowned out by the majority of the people who belong to the low income class and poverty line. For the middle class income to have a voice, first a leader should come into the fore to form an organization for them, like for instance ” The Middle Class Forthcomers”. The leader should be equipped with optimization and strategic thinking who knows exactly what objectives and results they are aiming for and has to maximize the very little resources they have on hand. He should inspire others by his own personal growth and development in order for him to create the atmosphere and necessary challenges that make growth and development for others. He has to think of activities that would fire people the most to commitment. He should know how to rope new people in and give them a sense of belonging. Is it a tall order for a leader to be for “The Middle Class Forthcomers” organization? That is exactly what is needed. Or it may take a committee of three or five or seven to steer the effort, and from them to select a leader. But the points you make, know the results they want, be able to organize resources to have clout, and deal with the challenges. Put it together right, and I think people of the social media generation would enjoy getting involved. It’s not “lets organize first and then formulate what we want”, it should be “formulate a good enough message that people will support, enhance and organize around”. The middle class as a tool is irrelevant if the purpose of the tool is unclear. Just “Reducing poverty” or “Strengthen the Philippines” is too vague. Why would we need a more efficient tool including strong middle class leaders? How does the Philippines look like in 2024? Economically, as an efficient nation, on the happiness scale? What are the main roadblocks stopping us to get there? Who are allies for change, who are benefiting from a status quo? What has to be done? Where to start? Yes, that is correct. I operate from the standpoint of having my personal vision “Opportunity for All” that can be put in terms that people would support and organize around. The brainstorming you suggest indeed needs to be done, but by the principal players who would build the organization. I can only suggest there is a path for making the Middle Class the stable (and loud) heart of the Philippines, but a Filipino (or group thereof) has to make it happen. Absolutely. Have to agree. The reliance on a “strong leader” is self-defeating. Middle-class Filipinos can be grouped according to their level of interest in social/political issues and actual engagement and participation in attempts to address such issues. There are many opportunities here and serious challenges for any one person or group that would seek to harness the capabilities and potentials of this growing Filipino middle class to better serve the task of nation-building. The groupings can hopefully help in shaping approaches best suited to the circumstances and motivations of each. -Those who volunteer their time to movements like Gawad Kalinga, Kaya Natin or to doing pro-bono work on a regular basis (lawyers, doctors, dentists etc.) , or those who have chosen careers in community work or other professions seen as positive contributors to society (e.g teaching). -The leadership of organised groups (political parties, labor unions and other cause-oriented groups) and their more committed followers. – Dads and moms who juggle their time between work or running a small business, raising their children, and running a household. – Students with limited resources and means to get around. They may all have the desire to be more engaged but may feel constrained by time and other resource limitations. They usually do manage to get up-to-date on issues that interest them either through mainstream or social media. They donate money here and there, support and cheer on those who do more, or use social media as a way of raising their voice and calling attention to issues they want resolved by putting in their two cents worth, or just sharing or “liking” points of view similar to theirs. Every now and then, some issue might rile them up enough to actually get them raising their arms and waving banners of protest (like they did in Luneta last year to say no to PORK). -Still moms and dads and young people preoccupied with and focused on other priorities. Their understanding of issues are usually superficial, based on what they’ve been told by the people they closely associate with. Hence they are either misinformed or not adequately informed. They may be urged upon by friends to join the occasional protest rally, sign some online petition, and some other token forms of participation but that’s about all they are inclined to contribute. Those who may have simply given up on their country and are just coasting along or waiting for a chance to get out of it. Most likely misinformed or not adequately informed as well. Excellent, Cha. Thanks for refining our view of the Middle Class. It tends to be optimistic, I think, as we can count on groups 1 and 2 to support rational change, and might be able to bring a good number of 3’s into the picture if the benefit of their being involved can be made clear to them. Going through the exercise of profiling those belonging to each group made me realize the importance of getting the accurate and complete information out there to get more people interested in what is going on around them. Sadly though, both mainstream and social media are often guilty of filtering , cherry-picking, slanting, or even witholding information that result in the public either getting distracted by side issues/non-issues or just completely clueless about the issues that really matter. No wonder Mariano is always on their case, these UP and other Philippine ivy league journalism school graduates. Sigh. Cha, can you and Dee be our leader? I’d be a willing follower to leaders like Cha and Dee if they’d agree. You know if I still live in Manila (I am based in Sydney and just visit every now and then), I would probably be a volunteer in one of the organisations that run educational campaigns promoting good citizenship. Then I will ask you both to join me there if that is something that also interests you. I think it would be more efficient and productive to join up with established groups already doing what we would like to be involved in, instead of starting something from scratch all over again. My personal inclination has always been toward transformative initiatives and programs but there are many other different ways of getting involved, spearheaded by other people and groups out there, from building houses, building schools, teaching schoolchildren how to read, giving away books and school supplies to underprivileged kids, to providing free health checks and services and so many more. I like the Kaya Natin Movement for Good Governance and Ethical Leadership. They reach out to young leaders all over the country through the Jesse Robredo Caravan of Good Governance. I think it’s a clever approach, to catch them while their still young but already have a say through their vote. Ah, Cha, you’re almost one of Jo’s “face-in-the-mud, sweat-stain-in-the-armpits” activist. I am not even an “armchair activist”. Kudos. Thank you Mary Grace and Geng for the vote of confidence. I, like cha, am too far to make a big difference in organizing a middle class coalition in the Philippines. How about you, Mary Grace and Geng, as you are both at ground zero? I am willing to assist both of you in any way I can. Whoever wants to push this excellent idea forward has my full faith and support. Ivy league journalism school graduates enter the profession wide-eyed and full of idealism and then they enter the business and are destroyed by it. One way, I think, of ensuring press freedom in this country is by passing a law that says nobody who owns any other business can own a media outlet. A media outlet that is part of a conglomerate that has interests in many other businesses is anathema to press freedom because those outlets will never publish anything that will destroy the rest of the business empire. The outlets will also inevitable lend its support for political allies and attack enemies. Press freedom in this country really refers to the freedom of media owners to report and shape the news for their own benefit. Agree, MB. But I think the issue of media ownership is really only the half of it. Maybe it’s to do with the 24 hour news cycle, but a lot of sloppy reporting is also going on out there. The recent flesh-eating disease fiasco comes to mind. Yup, Cha. The recent flesh-eating disease story is symptomatic of the battle for ratings and advertising. But look at the conglomerate headed by Pangilinan as an exampl, it owns telecommunications, power generation and distribution, toll roads, MRT, owns and manages hospitals, and mining and oil leases among other things. And then it owns TV5, Interaksyon.com the website of TV5, it has bought controlling interest in BusinessWorld, Philippine Star, and a sizable minority stake in the Inquirer. That’s a very loud voice. It can do a lot to shape not only public opinion but influence government to act if not in favor of its corporate interests then at least to sideline the voices that speak out against power price hikes, inadequate service, environmental degradation, ownership structures in corporations etc. The same thing holds for the family that owns ABS-CBN group. Although they sold their stake in power distribution they are still heavily invested in power generation. Even small media outfits like Solar news, it is owned by a brother of a major rice importer. The Bulletin is owned by the same guy who owns Manila Hotel and a host of other businesses. DWIZ and Business Mirror are owned by a man who has a chain of motels, insurance companies, memorial parks etc. Those are only a few examples. Some of our smaller media outlets are owned or funded by politicians and their big business allies i.e. Manila Times, Standard-Today, Daily Tribune and a whole host of tabloids. How can we kid ourselves about a free press in this country? Oh wow, I didn’t realize Pangilinan also had stakes in Businessworld and Philstar. And wasn’t he also just recently trying to get into GMA7? Thank you for laying it out this way, I now see your point clearly, MB. 1. deLima’s slam dunk was a foul. It was judicial goal tending gone unnoticed at first after slow-mo replay it was not ringless slam dunk buzzer busting. It was only a buzz. 2. Filipnos has come to realization that EDSA Revolution was not a revolution after all. It was a squabble between two corrupt camps and the people massing EDSA was just there to witness first hand because they do not trust U.P.-run Philippine Media. 3. Filipnos found out it was not Miracle at EDSA, neither people power even Benigno rewrote the story that the revolt began in Cebu not at EDSA. I absolutely agree with Benigno because EDSA Accidental “Revolution” gave credit to Tandang Johnny and Gringo. With the recent development of PDAF Investigation-by-Affidavit Benigno gotta stop the heroship of Tanda Johnny at EDSA. Problem is the above are mostly OFWs, 12% of Filipinos. Their ballots comes in an envelope thru Philippine Embassies whose people do not know how to count. 6. The Filipinos also has realized that it is not worth buying an armada of 2nd hand frigates because a mere water cannon from Chinese the Philippines ran to Papa. Sorry to dash your hopes, folks. To this day, Ma’am ARlene is still on the lose roaming the halls of justice dispensing justice. BUT THE FUTURE IS BRIGHT. It is in my cards and crystal ball. I always see Philippines as a basket case but this time It is going in the right direction. Some are deliriously happy blaming and blaming the government … I wonder why… they are dancing with glee if they succeed in making the president uncomfortable.. so ok, napikon and who is perfect? are you? and can you blame him? should a president be expected to do every single detail?… there is such a thing as delegation.. why not ask the rehab chief, Lacson,….. and that never ending question… don’t you ever have any other things in mind? that getrealphilippines.com really is devoting all its time and resources nitpicking every move this president do every single day.. not a single thing Pnoy say or do is good enough for them… the plunderers and opposition are surely using all their ill gotten wealth to undermine this government instead of helping the victims themselves… I did not vote for this president but I’m supporting and praying for him to succeed, imperfect as he is… if he fails, the country cannot move on to greater heights…. guys, please try to look at the forest and not at every single tree. Elzbeth Chan: I’m with you, Grace. GRP: little truth, no honor, one agenda. I hope I’m not late in this intelligent exchanges of opinion but could I veer off the topic and instead dwell on the bank secrecy law which as of the latest development is to be used by General Jacinto Ligot to prevent the courts or any authority to open his bank accounts.. I don’t know how this accused could be so thick skinned to plan to defend himself with a law of the land and it is the government accusing him of stealing that money that he wants to protect with that law from being investigated. Does the saying “thick as thieves” apply in this situation? If he has some sense left in his thick skinned head, trying to prevent to open his bank accounts is a direct admission of the crime he committed because if he earned it honestly, he will not try to use any means to circumvent the law. It;s about time we raise our collective voices that the bank secrecy law be one of the priority laws to be passed,aside from the FOI bill. Kalampagin na si Pnoy at mga lawmakers. Not too late. Yes, it was the arrogance of that general that inspires me to raise bank secrecy to the same level of importance as FOI. I had the chances then to migrate to Australia, Canada and the US but opted to stay here because I didn’t want to be a 2nd class citizen in any country. I preferred to stay with my country of birth with all the defects of its government and of its political system than be thousands of miles away hopelessly wondering why such things continue to happen when total involvement with the present pressing issues is only possible through being here at the battle zone. He (Benigno) is no different from Joma Sison who is enjoying all the perks and privileges that the Dutch government extends to him while his comrades are doing all the fighting and the dying. Let him expend his energy on the kind of patriotism that he understands. He is the one being consumed by his hatred and bitterness. I am sure of that. Then keep peace with yourself. 1. I must commend you on your choice. You belong to Group 1 of Cha’s taxonomy – High interest, high engagement. 2. Like Cha, I am an expatriate but not an expatriot. Arguably, we belong to Group 2 – High interest, low engagement. Cha certainly is. I may fall between Groups 2 and 3. 3. Being thousands of miles away, we do wonder but not hopelessly. Distance affords us a clarity of vision that we would not have otherwise. And it allows us to contribute in different ways to lifting the motherland. But you are probably right, our contribution may be less than it would be if we were there. 4. I say probably because looking at myself, if I had stayed there I would “probably” be less cerebral and more sensate. The country offers many pleasures with such low entry costs. 5. The whys and wherefores of our lives are unplumbable mysteries – a flame, a breeze, a sigh. Mr. Pacifico repeatedly laments the UP grads, and i’d echo that anytime. but still and all, i try to believe in the tiny minority (admittedly, mostly graduates from the three campuses–but if only because everything else now tends to be, i daresay, so much worse) that’s actually doing what it can to make a difference. Ahahaha, for a confirmed introvert, you express yourself most wonderfully and with a sophistication of humor that is positively delightful. But I need new glasses, for I got jolted reading that Rizal was a land-owning Armenian. Nothing has changed since you were in grade school, I am quite confident. Curriculum developers here are of the crustacean class. Meanwhile, most partylist groups, while very vocal in the political front, are nowhere to be found during these times, even if they do get a certain amount from the national treasury. I think what needs to be cultivated in the middle class is civic action. if people are socially engaged, they are more likely to choose better politicians. In the partylist system, vote who agrees with you and damn those who don’t. One thing I have noticed among Filipinos is that, most of those who are building socially, are not politically engaged. Manny Pangilinan is very dedicated to rebuilding Philippine Sports, the Zobel de Ayalas have their charities, etc…Meanwhile, those very interested in being on camera protesting or speaking…. hmmmm. That’s a very interesting observation, the political detachment of many social notables. Hmmmmmmmm indeed.